Sometimes, no matter how many snow dances we perform, no matter how many times we re-check the Wasatch Snow Forecast hoping for news … it just doesn’t snow. We’ll work on new means of appeasing the gods. (Do they want us to burn our old skis or make shot skis out of them? Will try both.) But in the meantime, we can lace up our trail shoes and make the best of the dry conditions. A little cross-training never hurt anyone, after all. Indeed, if we could stop lamenting the lack of snow long enough to acknowledge the dry winter trails in the lower-elevation Wasatch, we’d notice it’s actually pretty prime running conditions. Temperatures are cool and mild, so running in tights and a light fleece works fine. You don’t need full-on winter running shoes; your normal ones will do nicely. Nix the gloves and beanie too. Your water needs will be a lighter than in the summer heat, so you can either run without it or carry just a small amount in a hand-held squeeze bottle. The scenery is stark and sparsely beautiful. And there are very few, if any, mountain bikers to share the singletrack with. In other words, early-season running conditions exist. And, actually, they’re awesome. If you care to take advantage, we’re lucky enough to be surrounded by suitable early-spring trails. Here are just a few notable options for trail running in Salt Lake City when the powder plays hard to get. 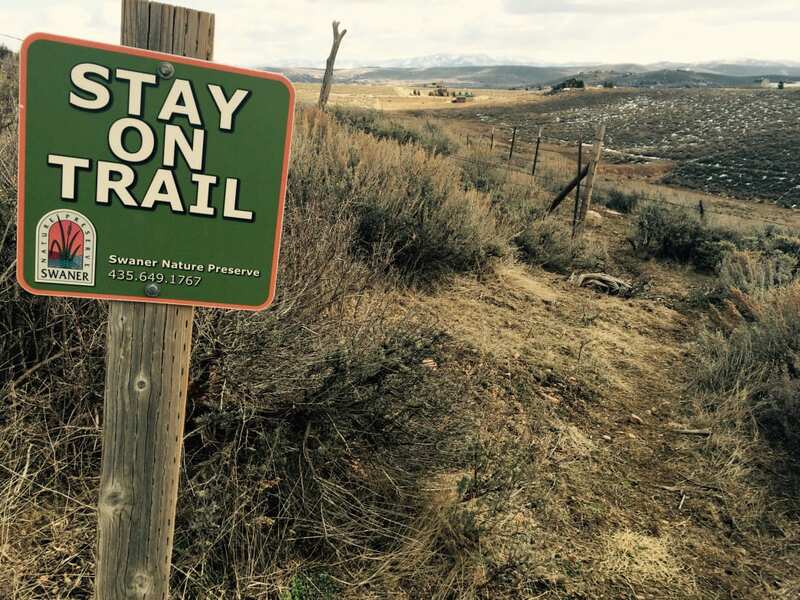 This trail network is exceptionally handy for runners from both Salt Lake and Park City: It offers miles and miles of flat, immaculately maintained trails with lovely views of the surrounding hills. Park at the Redstone Center in Kimball Junction right off I-80, lace up your shoes, and link up with this trail system . Most of the trails are dirt or woodchip-covered and encircle a gorgeous nature preserve in the middle of the natural basin at Kimball Junction. This basin is carpeted with grassland and winding streams in the summer; in the winter it sits silently waiting for spring to bring it back to life. The mellow, flat nature of this trail system makes it perfect for working on your pacing and breathing technique without hilly variables thrown into the mix. Glenwild is a network of zig-zagging trails up the hill directly north of I-80 at Kimball Junction. This means a 20-minute drive up Parley’s Canyon is necessary from Salt Lake, but the trail offers clean air and lovely views of all three Park City ski resorts. Worth it? Absolutely. The handy map at the trailhead on Glenwild Drive gives you the down-low on your route options. All the trails eventually interconnect and intersect repeatedly, so you can add loops or choose a more direct route if you prefer a shorter distance. If you choose the trail paralleling the stream going east, you get a good workout on the switchbacks that work their way up several hundred feet of elevation before diverting westward to join the rest of the trail system. If you choose to go west along the stream from your car, you’ll get a gentler, more ambling ascent. 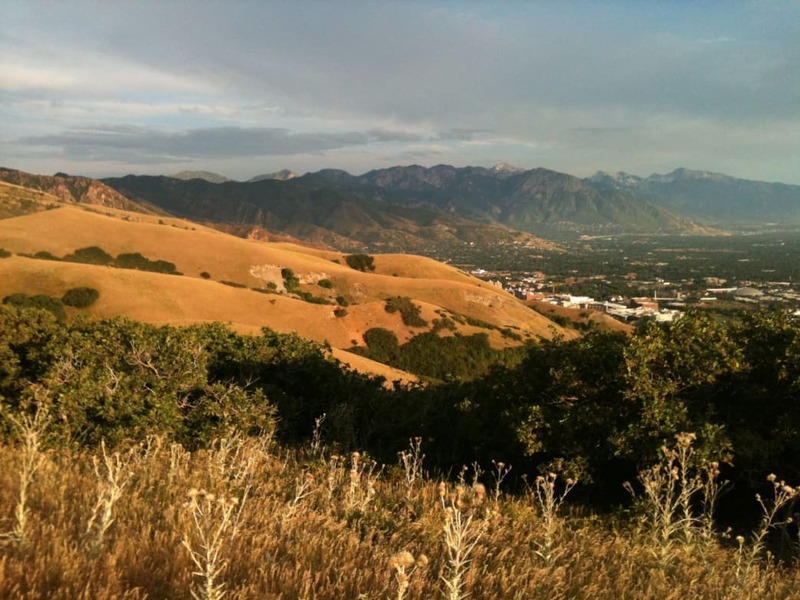 Accessed easily from the north end of Wasatch Boulevard, the Grandeur trail rises a few thousand feet above the valley. Since this majestic pinnacle faces directly west, it sees plenty of sunshine and the trails on Grandeur’s front side are dry before most other trails are. Grandeur is steep—very very steep. In fact, most runners can only run the gentler first mile or so from the trailhead. Soon, a sharp turnoff ascends directly up the hillside. This is your big chance for a free Stairmaster workout with sweeping views of the city. It’s an epic quad-driven undertaking that challenges your lung capacity; at best, you’ll keep a brisk power-walking pace for most of it. But on the downhill, feel free to cut loose and plunk your way back down to the car in a fraction of the time it took you to go up. A small grassy area adjacent to the parking lot is perfect for stretching your weary muscles. At the far southern end of Salt Lake valley, Corner Canyon encompasses a whole network of trails on Draper’s hillside at the base of Lone Peak. This trail is shared with bikers and horseback riders, and in the summer, its popularity shows. But in early spring, when most people haven’t yet dusted off their mountain bikes, it’s quiet and peaceful. Park at the Lynn Ballard Ballpark in Draper; it’s one good entry point to the full trail network. Some loop sections are single-track, while other sections, such as the Upper Corner Canyon Road, are a wider dirt road. For those coming from the far northern end of Salt Lake, this is where Bonneville Shoreline starts rising above its hillside traverse above the University of Utah and rides the ridgeline above Federal Heights to City Creek. This is an ideal trail for runners because you get your uphill workout out of the way during the first mile and a half. At the top of that first big climb, a dandy view stretching from Mt. Olympus to downtown Salt Lake awaits. After that, it’s minimal ups and downs. Park at the Jewish Community Center and follow the trail heading northeast up Dry Creek Canyon. While this is a lovely run, keep in mind that this trail is narrow single-track and is shared between runners and mountain bikers. Approach blind curves with caution, and keep those headphones turned down low. This charming park has been at the center of Salt Lake’s landscape and culture for a very long time. At the heart of Sugarhouse, you can get a hilly trail run—and with Mount Olympus providing a stunning backdrop, you don’t have to leave town for primo views. Pick any parking spot and link up with the soft dirt path encircling the park. This trail is just shy of two miles long, so you can add more laps as desired. You’ll bob up and down in elevation during each lap, which adds interest and keeps your calves and quads at full attention. Good luck out there, and don’t be afraid to get a little muddy while the snow gods consider their next move.